Adrian Gillespie is 26 years old. He was diagnosed with sickle cell disease at birth. Overtime he has developed complications and hospitalized for the same. He was diagnosed with vascular necrosis in November 2018. Vascular necrosis also called osteonecrosis or bone infarction is death of bone tissue due to interruption of the blood supply. Gradually joint pain may develop which may limit the ability to move. Complications may include collapse of the bone or nearby joint surface. Initially physical therapy and medications were being used to treat his condition. 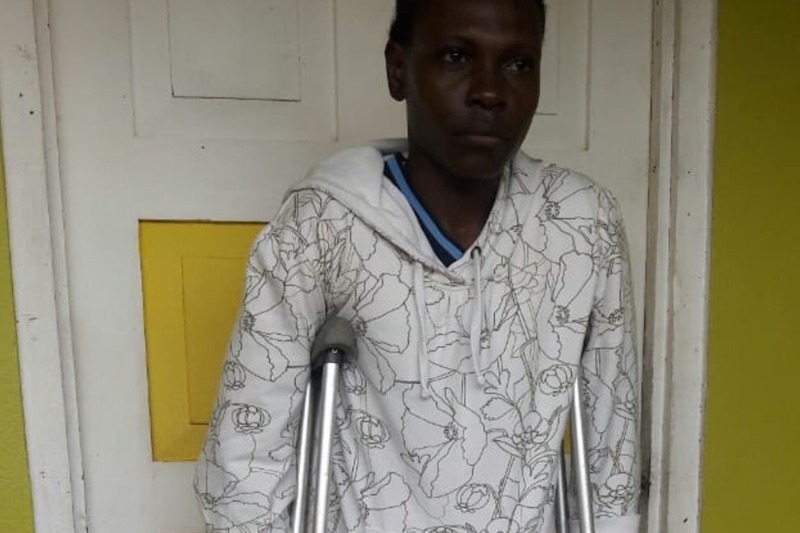 He has showed no sign of improvement and is unable to walk or function without help. His right hip has been badly fractured, therefore doctors have recommended corrective surgery. A petella claw will be inserted in the right hip to correct the problem. Doctors have given Adrian three (3) months to get the surgery done. His condition continues to worsen overtime. He may not walk again if he does not get the surgery done. Adrian is a welder and he has not worked for the past five (5) months. His family’s finances are depleted as his brother passed away from sickle cell disease in November 2018. His mother is unable to work and supports him as he needs a permanent care giver. Any contribution towards his surgery will be greatly appreciated. On behalf of Adrian and his family we thank you for your support and prayers. Adrian’s surgery is supposed to take place March 2019.